Lately there’s been much discussion of whether sites like Massively are really needed, or whether bloggers do the same job just as well, or perhaps even better. Many of the points raised reflect the underlying differences that arise between professionals and amateurs in many fields, and also the differences between for-profit businesses and non-profit organizations. (Semi-pros are a very interesting case too!) Much comes down to the key resources of time and money, and how they impact the work done, or left undone. Professionals can in general devote a lot more time to their work than amateurs can afford to do. At one extreme, a full-time journalist presumably would spend 40 hours a week or more keeping track of events in the field they cover and writing about them. That means that in principle they’re able to be well informed, respond to unfolding events in a timely fashion, and provide a breadth and depth of coverage and analysis that a single amateur would find impossible. There are other benefits of being well-resourced that accrue to professionals. They can more easily justify expenses that are needed to do their work, whether it’s high-quality audio equipment, travel expenses, or whatever. Another type of expense are the costs in time and money of the various QA processes that generally apply to professional work: editing, internal reviews, signoffs etc. But the advantages are not all on the side of the pros. Ultimately pros have to “cut their coat according to their cloth” – the amount of effort spent on doing a piece of work has to be in proportion to the revenue likely to be generated by doing it. This is one of the major problems facing many newspapers nowadays, as their advertising and subscription revenue falls, they don’t have the resources to keep up the volume and standard of work they used to do in the past. An amateur isn’t constrained in the same way. If a talented and passionate amateur has the skills and the inclination they can put far more effort into creating a single post than a professional could justify. The question then is whether collectively a bunch of talented and passionate amateurs can be a match for the professionals. Sometimes the answer is clearly a resounding yes. Think of game wikis or Wikipedia itself, or think of open source software like WordPress, which powers this blog. But that is only sometimes! For each WordPress or Linux there are thousands of open source projects that never got anywhere, or which built something useful only to stop being updated when the key people got bored of them. And even highly successful open source projects are often woefully short of well-written user guides, well-designed user interfaces and the like. Probably there are certain kinds of amateur work that people find rewarding, and only certain part of the work at that. There aren’t many people whose idea of a fun leisure activity is writing user guides or checking someone else’s spelling and grammar. The crowd leaves gaps in its coverage, and often comes up short on aspects of doing quality work that are not inherently enjoyable to address. On top of that the enthusiasm and commitment of amateurs waxes and wanes over time, as does the amount of time they can devote to their hobby, and their ability to pay for it. We’ve seen it happen often in the MMO blogosphere as many of the very best blogs and podcasts, which we loved for years, are are no longer with us. A problem that is pretty unique to hobbies that create internet content is that a person’s work can be too good to live. Unlike almost any other leisure activity I can think of, the costs of the hobby are not fully within the hobbyist’s own control, but depend on the volume of traffic to their sites. While most people actively try to grow their traffic and are proud when it does, ultimately it’s not something that they can ever fully control. Posts can go viral, sites can gain a high-ranking in Google, and leaps in popularity can appear out of the blue. When a site has no revenue, or has revenue sources that do not scale in proportion to traffic, a sufficiently large increase in popularity can kill it. It sounds paradoxical, but essentially it’s no different than a store that makes a small loss on every item it sells. The more it sells the faster it goes bankrupt. The problem is most noticeable with hobbyists that use paid platforms, but it can affect professional outlets as well if the structure of their costs and revenues is such that more traffic pushes up cost faster than revenue. The Bible famously has it that “You cannot serve both God and Mammon.” Or to put it in a non-religious way, there are inevitable conflicts between making money and other, more important values, that you might have. Pros depend on their work for their livelihoods, and the need to make money can sometimes have a dubious effect on their work. In online journalism, they might be faced with either writing misleading click-baity headlines or failing to pull in enough traffic to keep their work funded. Even the most reputable and serious news organizations are now facing this dilemma. Similar things can happen with stirring up heated controversies rather than measured debate, or fueling hype over product launches rather than keeping a sense of perspective. In the worst cases they might be unduly influenced by advertisers, freebies, junkets etc. But even at the best of times there might be some pulling of punches in order to keep cordial working relationships with those they must cover. The conflicts may be less acute when funding comes directly from readers, whether it’s via subscriptions, donations or whatever. However, as any non-profit knows, what will bring the donations flooding in and what most needs to be done are often very different things. For one thing, people will donate to help the victims of disasters, but it’s much harder to raise money to prevent the disaster from happening in the first place, or even for containing it its early stages. Which is just one example of the phenomenon that hot-button, media-friendly issues tend to win out over things that would make a vastly bigger difference with less money. I was thrilled to see Massively Overpowered and Blizzard Watch hit their funding goals so quickly. But part of what fueled that I’d guess were the understandable emotional responses in the face of a sudden disaster: “Helps the victims”, “Save our friends”, “Stick it to the heartless corporation” etc. In the future, there might be harder choices for the sites to make, for example if they wanted to take a stance that would anger parts of their donor base. There’s no easy way to square the need to bring in funds with other goals. This means there are important freedoms for amateurs and semi-professionals, who can afford to be less concerned about the financial consequences of their actions. I guess the upshot of all this is that I think it’s very valuable to have a “mixed economy”. It’s good that there should be professionals, amateurs and semi-professionals. They all have strengths which compensate for potential weaknesses of the others, and as with many things a diverse ecosystem is a healthy one. Maybe some of you wondered about the image at the top of this post. Perhaps you never see any significance in the pictures I use anyway. Or perhaps you tried to figure out for a moment what connection this one had with the topic in hand. Maybe you spotted it! 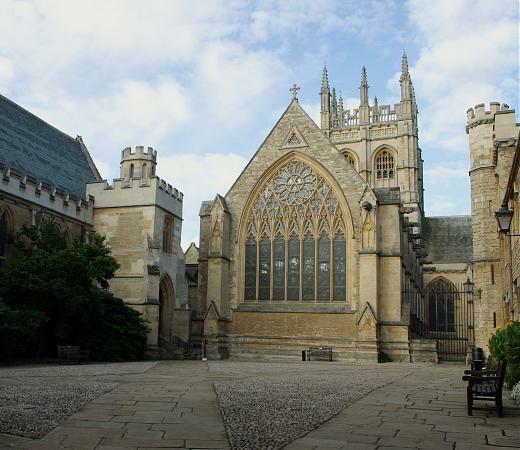 That photo shows Merton College, Oxford, where Tolkien was a professor for a large part of his career. 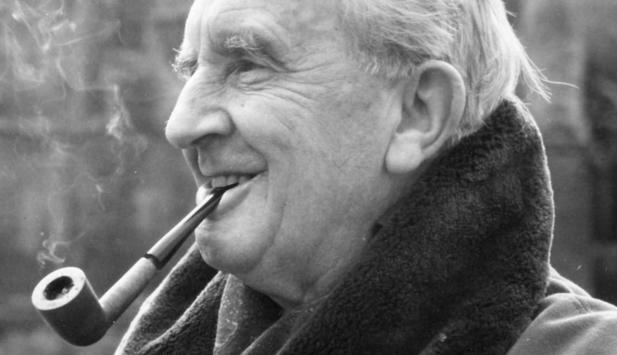 The point is that writing fantasy fiction was not his day job, and that fact in part helped him produced something unique and wonderful. No one who depended on writing for their livelihood could have spent so long building up a deep imaginative world or gestating a single novel. By the measure of words per day, his output was hopeless. And the length of time to complete a novel which he wasn’t sure would even be publishable would no doubt make an editor weep. Work of that type could only have been done by someone who had the luxury of not having to rely on it for their income. Food for thought perhaps, in the amateurs vs pros debate. This entry was posted in Misc and tagged blogging, business, mmo. Bookmark the permalink. Great post! Through this I’ve just been introduced to the amateurs vs. pros debate, and I’ll definitely be reading more as I go. As an amateur gaming blogger, I try to take your points of dedication, non-constraint, and passion to heart, but often find myself out-spent simply because I fund with my own wallet. But as you said, a diverse, mixed economy of enthusiasts is the core of a balanced society – or at least this one, it seems. I’ll definitely be keeping an eye for more on your site. Thanks! Sounds like you’ll be producing some interesting work, so I’ll keep an eye out. Interesting post. And yeah, I remember hearing that Tolkien hated how everyone loved his LotR stuff and didn’t pay attention to his “serious” writing. I wouldn’t be surprised if some of my fave bloggers feel the same way! They might have a yen to tackle serious and weighty topics, but we love them for their light-hearted stuff. Haha, I have to agree with this reply. It’s more or less *impossible* to predict which posts my readers like and which they don’t (or maybe I’m just really bad at it). But at the same time that makes it exciting to blog in the first place. Good observations. I honestly think the world doesn’t “need” pro writers on sites like Massively. Who are these pro writers anyway? Most of them are just bloggers that AOL Decided to hire to try monetizing the MMO journalism space. That’s their only qualification. Bloggers that AOL hired. I think you get a lot more diversity across various blogs anyway. I’m a fan of Massively, but I don’t think they’re anything special. You don’t need to be “anything special” to provide a valuable service, you just need to be able to be there doing the job adequately, day in, day out. That’s what 90% of real life jobs are!